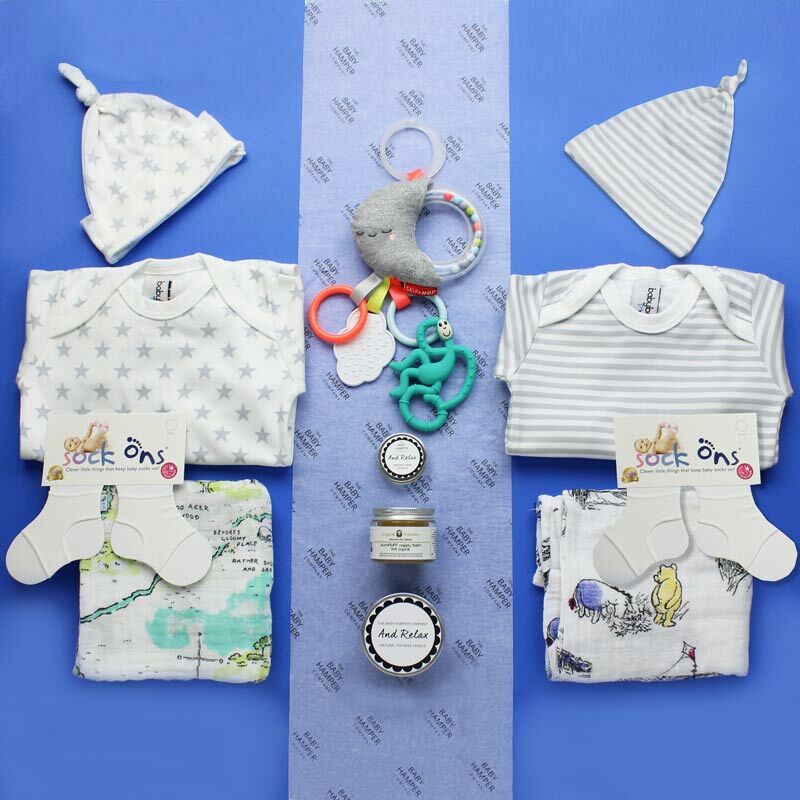 A box of two halves.....a side of stripes and a side of stars! 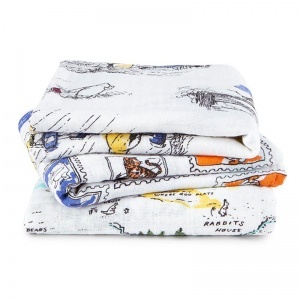 2x Aden and Anais muslin cloths - one of the most useful gifts any newborn parent to twins can receive. These handy little cloths are a newborn essential item, and these one's feature the designer and sought after, Aden and Anais prints. 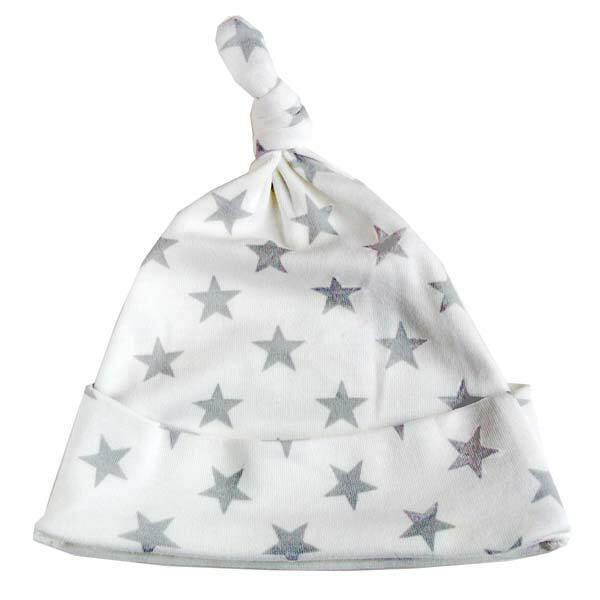 A super soft cotton muslin cloth measuring 70x70cm. 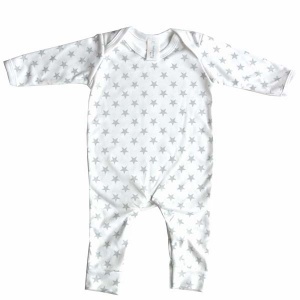 2x Cotton Sleepsuits - in matching grey and white, but one in star print and the other in stripe print. 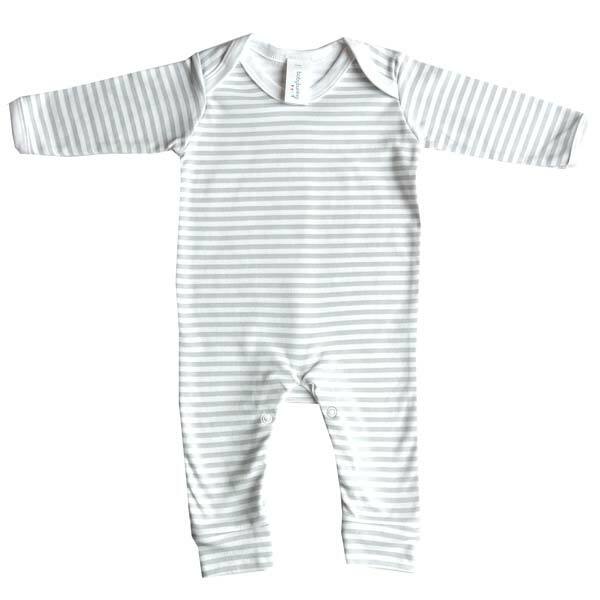 Perfect for an everyday outfit or for use at bedtime. 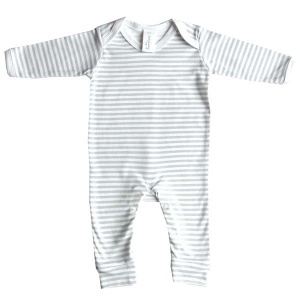 100% cotton and age 0-3 months. 2x Cotton knotted hats - in grey and white prints to match the sleepsuits. Age 0-6 months. 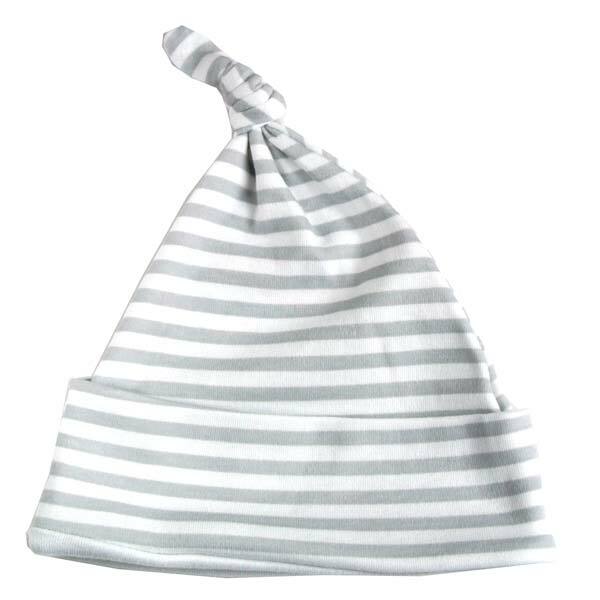 Whether it's summer or winter a newborn baby will always need a hat! 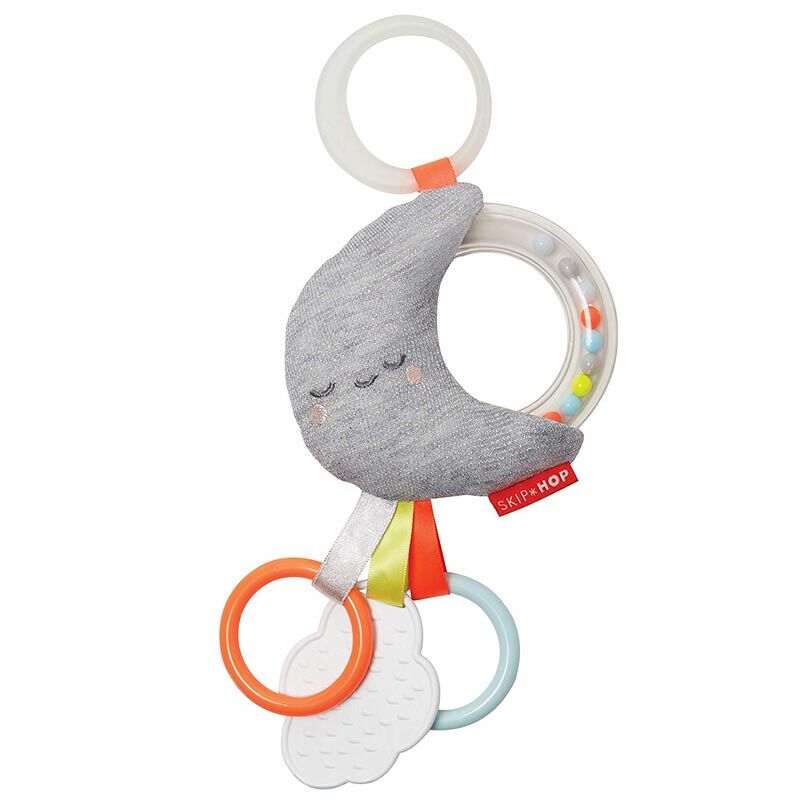 Skip Hop Moon Stroller toy - a perfect size for little hands, this brightly coloured toy is great for clipping onto a pram or buggy for baby's entertainment whilst out and about. 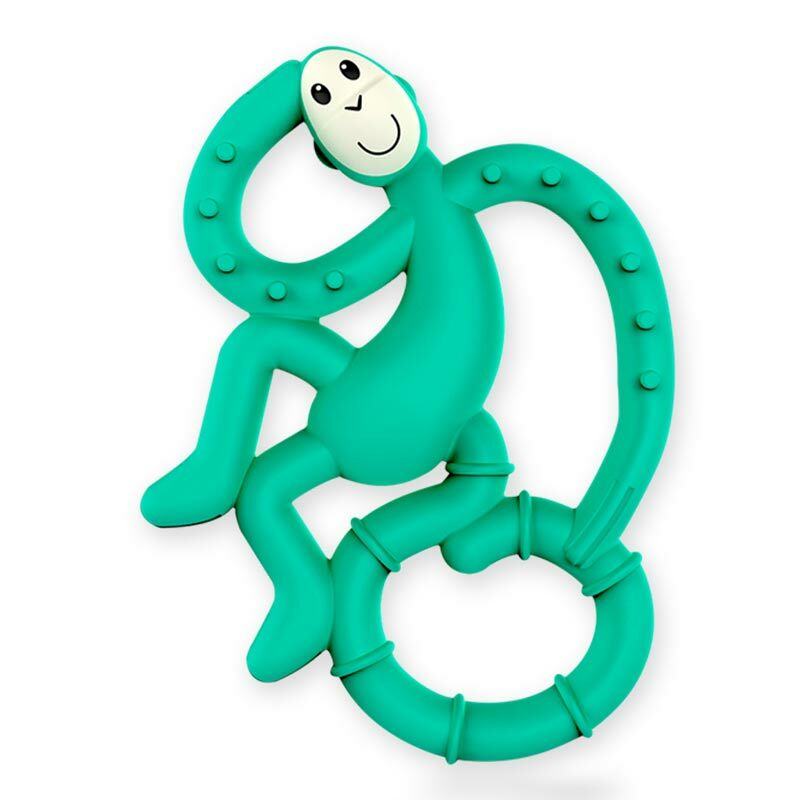 Matchstick Monkey Teether - a brightly coloured teething toy, a great size for little hands to grasp and provide soothing relief to babys teething. 2x Sock On's - in white. A super little invention, which easily keeps socks on feet and little toes warm. 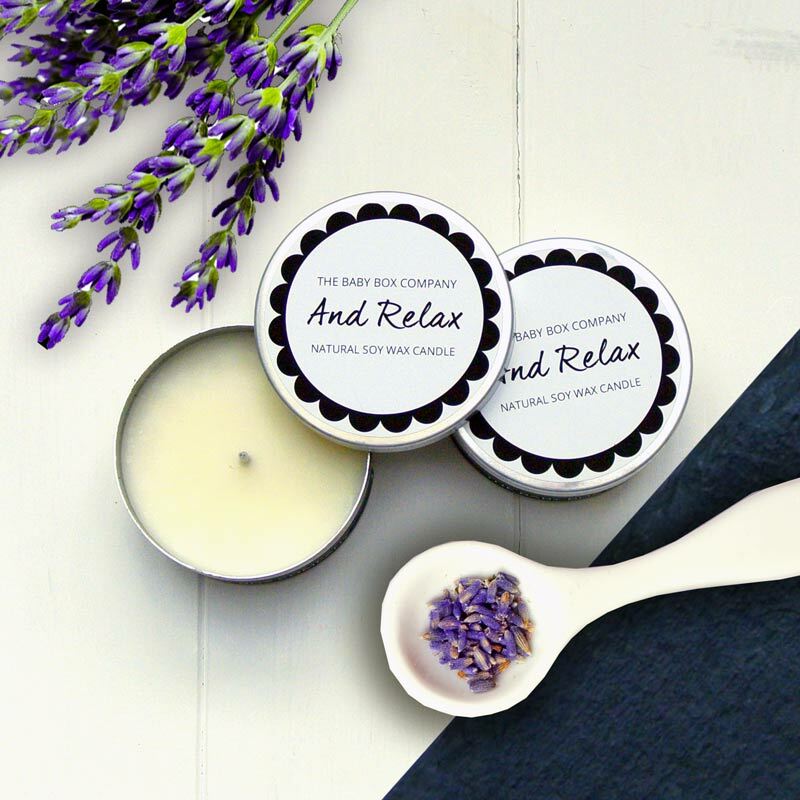 'And Relax' candle tin - when lit releases beautiful essential oil fragrances to calm and soothe. 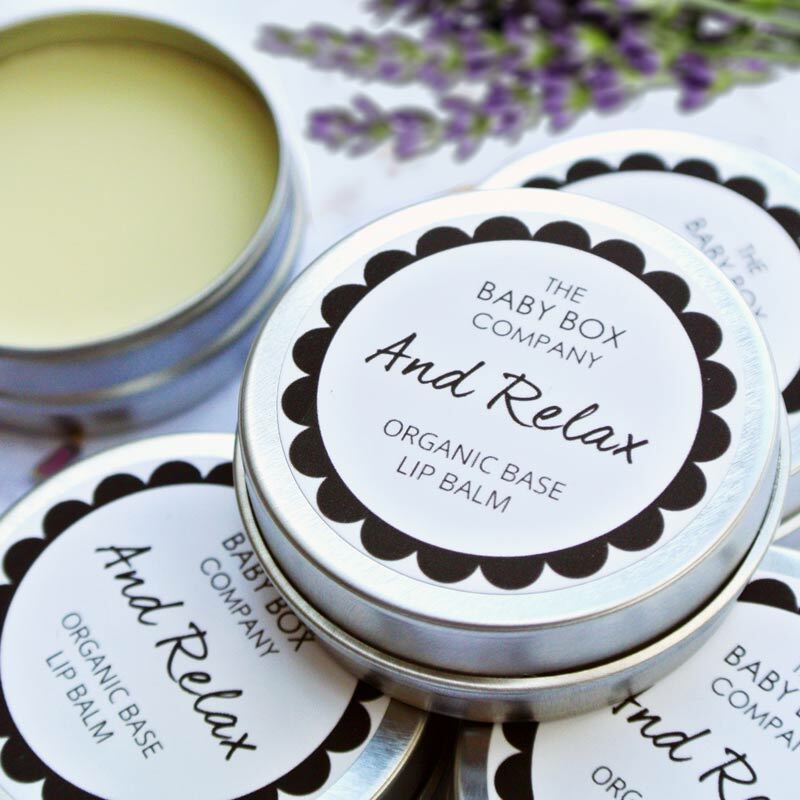 'And Relax' lip balm tin - a handy bag size moisturising lip balm with soothing aromatherapy essential oils. 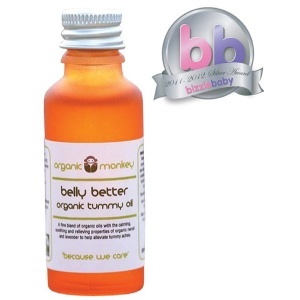 Organic Monkey Nappy Balm - an organic base balm to prevent nappy rash. Suitable for even sensitive skin. 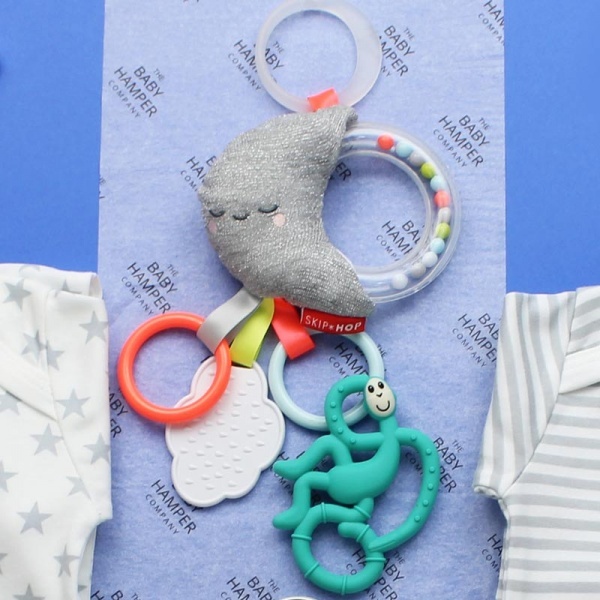 Want to add extra items to your box? 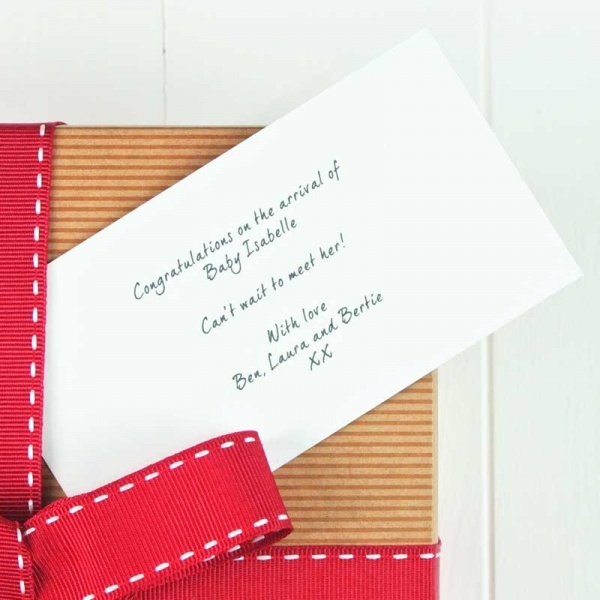 No problem, just add them to the basket and we'll automatically include them in with your order. 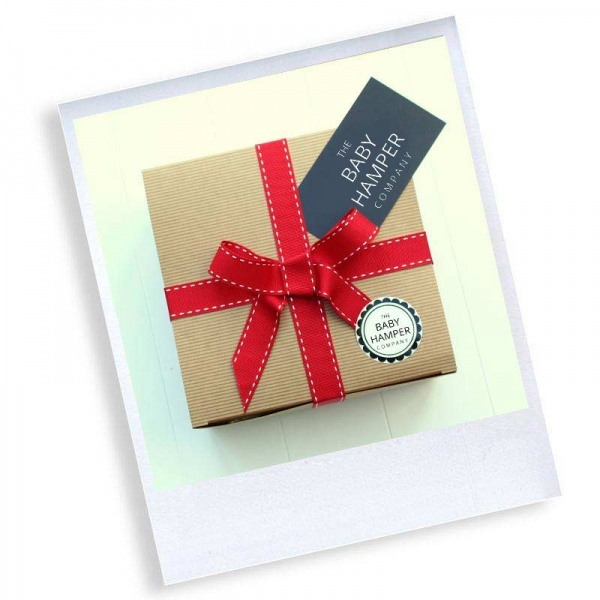 All or hamper boxes come with free luxury gift wrap!